Spring 2010. A volcano unexpectedly erupts in Iceland and airspace is shut down over Europe. Harriet works in local radio in London, and with most of her colleagues abroad, she seizes a unique career opportunity. Her husband, Michael, stuck in New York on business, travels to visit an old flame, and their teenage son, Jack, feeling liberated from normal life, takes an unexpected risk only to find himself in trouble. Meanwhile Emily, a young TV researcher, loses her adoptive father to a heart attack, and half a world away, a Pakistani migrant worker named Yacub is stranded in a Dubai labor camp. Two years later, Yacub, attempting to stow away, falls out of the landing gear of an airplane onto Harriet's car in a London supermarket parking lot and survives while Emily accidentally captures it all on film. Yacub's sudden arrival in the lives of Harriet, Jack, Michael, and Emily catapults these characters into a series of life-changing events, ultimately revealing the tenuous, often unexpected ties that bind us together. I will admit, this book has an intriguing concept. 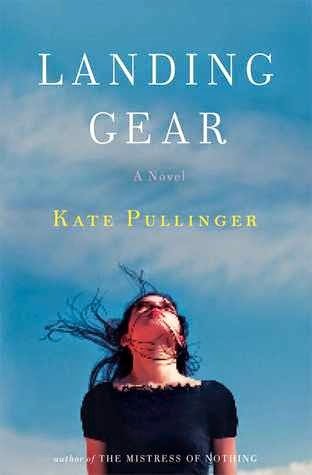 It is inspired by an actual event of someone falling from the landing gear of a plane (and, more recently, a teenager successfully stowed away in the landing gear of a plane and made it all the way to Hawaii!) and I was quite looking forward to reading it. How can I explain my feelings about this book? It's like you get a puzzle to put together, only to realize that half the pieces don't fit anywhere. This is one of those well-intentioned stories that just never came together for me. The first part of the book, during the Icelandic volcanic eruption, seemed to try to set up the characters, but what happened to them really didn't matter that much in the second part, when Yacub landed on Harriet's car. Then, the third part, in which I think Pullinger tried to tie everything together, just fell flat. It's too bad because I think the premise of this book showed promise. I felt the characters of Michael and Jack were superfluous to the story as it was written and I would have liked to have seen them more wrapped up into the central plot. I felt a bit like Pullinger was manipulating me badly with the storyline between Harriet and Emily and I really think that she could have finessed that a bit more. And Yacub--I really wanted to Pullinger to dig deeper into this character than she did. I really wish I was writing a positive review of this book, but it just wasn't there for me.